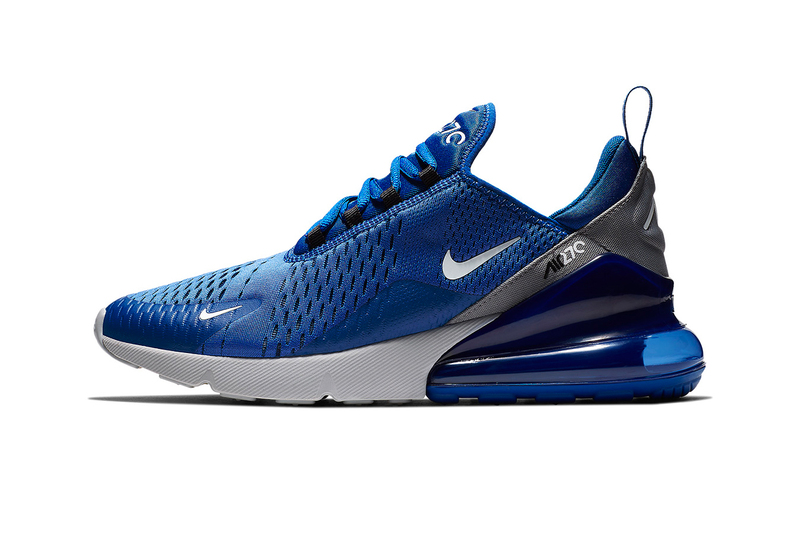 Continuing to deliver new iterations of the Air Max 270, Nike recently gave the lifestyle-focused Air Max model an “Indigo Force” makeover. This time around, the AM270 features a blue tone Flyknit base upper accented by a black under weave and a contrasting grey heel counter. Branding on the upper of the shoe comes in the form of small Swooshes at the midfoot, toe and tongue, which are accompanied by the “AIR270” motifs found on the heel and tongue. Finally, a hybrid sole unit with a translucent blue external Air heel bag and grey lightweight foam forefoot sole round up the design of the upcoming colorway. Priced at $150 USD, the Air Max 270 “Indigo Force” is set to hit select Nike Sportswear retailers later this year. In case you missed it, Nike’s ACG Air Revaderchi recently received two new Fall colorways. Supposedly includes Kendrick Lamar, Eminem and Nicki Minaj. Including new GORE-TEX sneaker options.